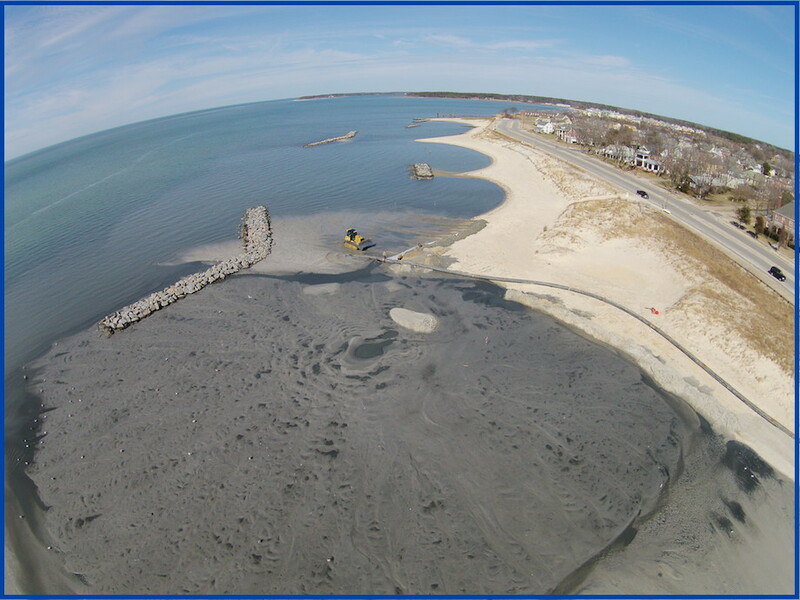 March 23, 2015 — At top, Craig Richardson’s drone equipped with fisheye lens provides a dramatic shot of Cape Charles public beach’s new real estate, courtesy of the Army Corps of Engineers, who are dredging the harbor channel and pumping the spoil onto the beach. Meanwhile (bottom left), erosion at Bay Creek’s private beach prepares to again attack the golf cart path, which previously fell to Hurricane Sandy. At bottom right, Wayne Creed reports that the muddy material dredged from the harbor will be taken to the Upland Placement Site, just south of the railroad tracks that parallel Stone Road. Construction and rehabilitation of the site has already begun. Outstanding aerial view of the work to replenish the beach sand but what happened to the north west section of the beach? 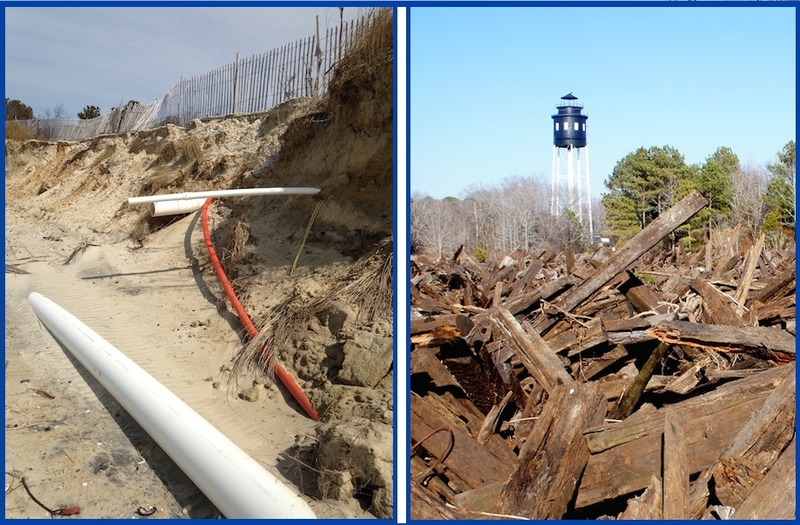 The dredge pipes have been removed and nothing was pumped into this area which at high tide the water is within five feet of the boardwalk and at low shows nothing but rocks and broken glass. Is this what was planned?